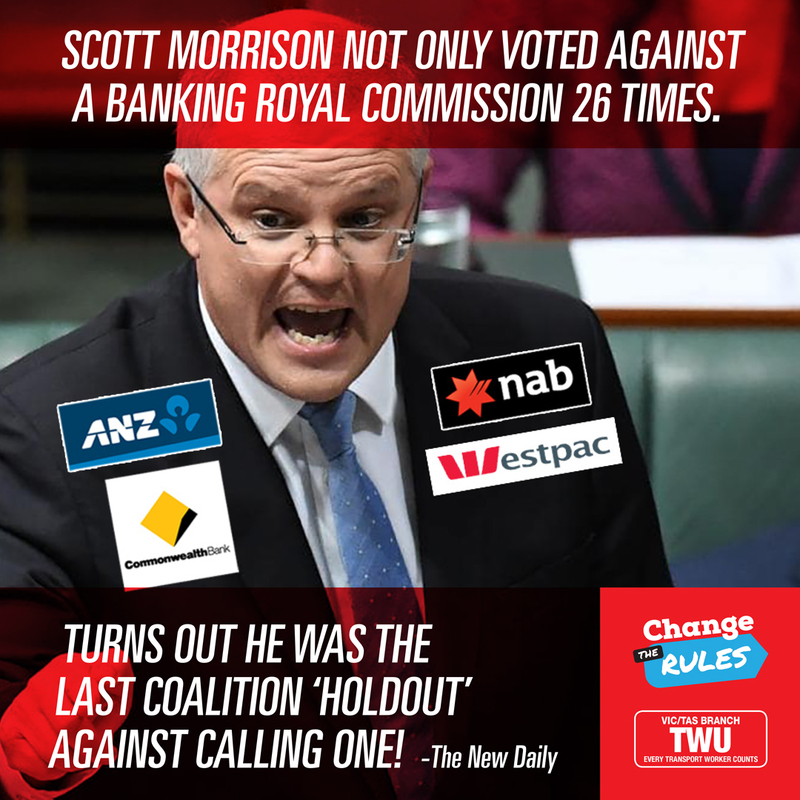 Scott Morrison was the “last holdout” against calling a royal commission into the big banks, according to The New Daily – https://bit.ly/2RKyYAw. According to the report, Liberals have warned Mr Morrison’s deep opposition to the royal commission is a ticking time bomb for him. Government insiders have reportedly said the now PM warned against the establishment of the inquiry because of “reputational damage” to the government. Mr Morrison was highly exposed because he had described the royal commission as a “populist whinge”, “a stunt”, “hot air” and a move that would undermine confidence in the financial system. Remember – he also wants to reward the banks bad behaviour with a $17b tax cut and hand them access to your hard-earned superannuation.